During our many camping adventures, J and I acquire points for who spots wildlife. Butterflies are only worth 5 points. But river otters, those are worth like 62 points. 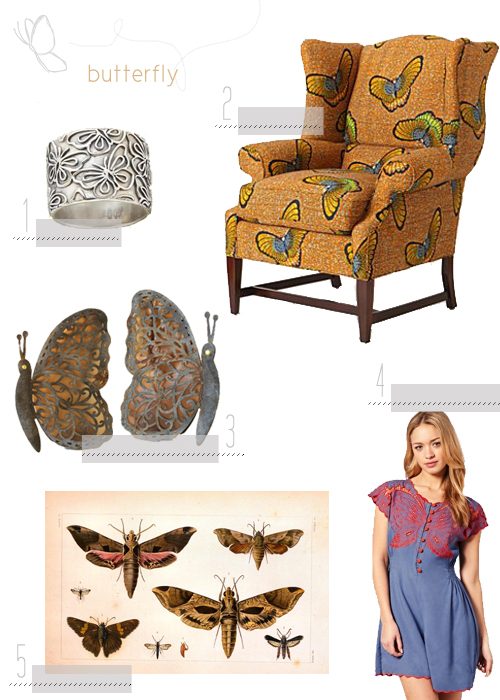 Here's a bit of butterfly inspiration for you and your home.